Being Irrelevant hasn't dampened Obama's Arrogance. The same Illusions have Invaded Progressives, and sickened many Democrats. The Illusion of success, when nearly every meaningful data-point spells Failure. Somehow the architect of the worst recovery since the Great Depression Mr. Obama alludes to the fallacy that the now booming economy is his. Obama may be better at stand-up comedy than leadership. It was the Bush Administration that bailed out the Banks and Auto-Industry. It was Obama whose shovel ready jobs moved no earth and employed no workers. The only job creation was in the Public Sector, and most with an IQ over 60, know that more government diminishes National Wealth. Public Sector employment creates no economic advantage for those who foot the bill. It was by design to over-regulate the Private Sector, and promote Socialist narratives. Not the narratives that gave us Social Security, and Medicare, but a Free For All Socialist Agenda that added a whopping 10 Trillion Dollars to the already inflated Deficit. As Obama touts his delusions such as Deficit Reduction one must seriously wonder whether anything this man says is truthful. Even with a Majority in both Houses it took bribery and the ludicrous statement by the then House Leader to extol their members to sign a Bill NO-ONE had read! We all know the results of Un-Affordable Care Act. Obama ruled by fiat with numerous Executive Orders some of which were ruled Unconstitutional by the Supreme Court. He allowed his Bureaucrats to ride Roughshod over segments of the American electorate that disagreed with his elitist minutiae while rubber stamping every personal dysfunction of out of norm behaviors. Barack Hussein Obama was the product of a Dead Beat Kenyan father with an Ego as big as his son's. His well educated American mother saw herself as an emancipated woman with little to no interest for child rearing. Yet Obama, victim to only his own family, somehow was the recipient of social programs for those African/Americans who were the real victims of injustice. Yet, instead of sitting around counting his cash, he has the gall to criticize active policy that has yielded positive results. His Socialist Agenda has been Vanquished by an Administration that has added volatility to the engine that drives our Economy. No-one should forget the Flat Earth Policies that Obama stood proudly over. Like the Ruler of a Third World Country tooting his own Horn of Success while America burned. Selling Illusions hasn't worked in any Town, City, State, or Nation run by the policies supported by Obama's false narratives. One need not be an adherent of an opposing party to understand the simple methodologies of Success. The facts are always in the details and consequences. No-one, even it's architect could logically conclude that Obama was a Successful Leader. 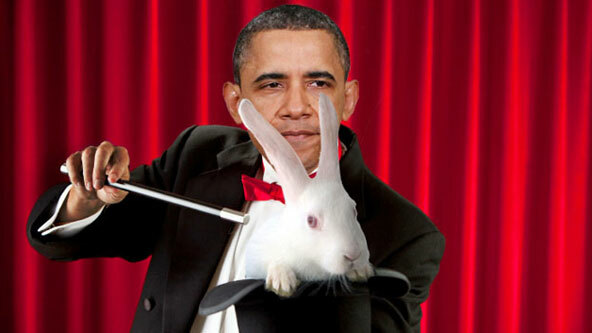 I don't drop many remarks, however I browsed some remarks on "OpEd: The Obama ILLUSION". are coming from brain dead individuals? :-P And, if you are posting at other online sites, I'd like to keep up with everything fresh you have to post.